New year, and you realize that you must add new numbering series for various type of documents. It’s an easy job, but unfortunately, you have a lot of series. It will be wasting your time if you do it one by one (yeah, you can’t use Data Transfer Workbench for it, we know that), keep repeat ‘Add New Row’ on every single type document. We have this solution to solve your problem. 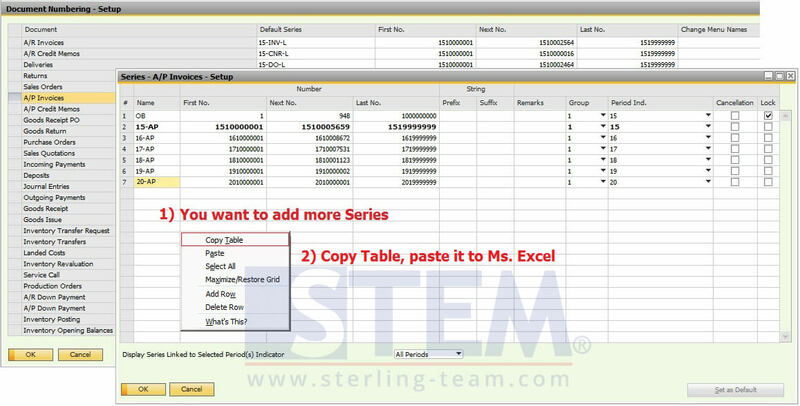 On Ms. Excel, copy your new series that you want to add to SAP Business One. 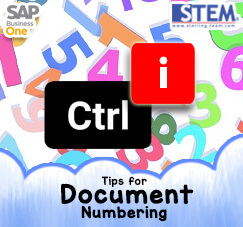 Then, back to screen SAP Business One, Series – A/P Invoice – Setup screen, enter key combination Ctrl + I multiple times (exactly the same amount with your total series). 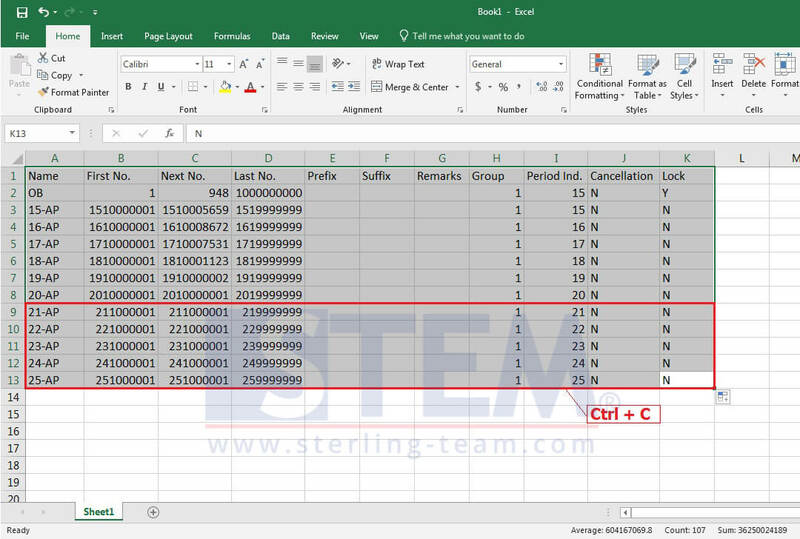 You have 5 new series, so you need to input [CTRL + i] 5 times, after you finish, paste it your series data from Ms. Excel. This is a recap for add new numbering series with an easier way.